The Champion Starfire is a fast, dependable disc that is great into headwinds and has a long straight flight. 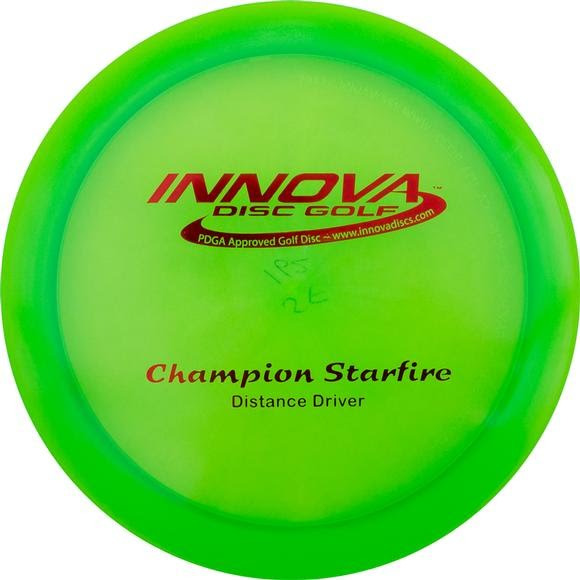 Previously only available as a Fund Raiser disc, the Champion Starfire is a top performer. Best Choice for: Maximum Distance, stability driver, headwind drives, intermediate to advanced players looking for a consistent distance disc.